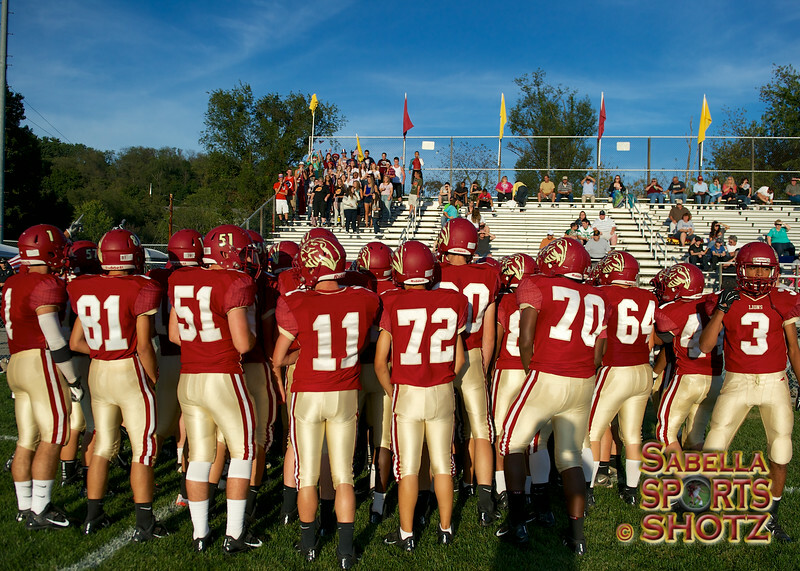 These are the images captured during a Class AA Midwestern Conference (MAC) opener between the Lions of New Brighton and the Spartans of Laurel High School held on 8.29.14 at Oak Hill Field in New Brighton, PA. The Lions jumped out to a big lead early in this one only to have Laurel come back and score 20 unanswered points in the 2nd Quarter and tie the game 20-20 going into halftime. The Lions responded strong with Scott Florence scoring the go ahead TD in the 3rd Quarter and the Lions defense held on tight in the 4th as New Brighton went on for the 27-20 victory. Next up for the Lions is non-conference match up with Ellwood City HS to be held at Ewing Park on 9.5.14. Good Luck Lions! PLEASE NOTE: Images are posted online with minimal post production processing. Please remember that every image is professionally adjusted for color and contrast prior to printing to ensure you get the best results possible!